The school is regularly inspected by the Independent Schools Inspectorate. 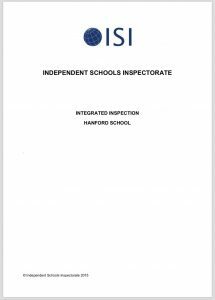 The ISI is an independent, government-approved body which provides objective inspections to safeguard the quality and effectiveness of the education, care and welfare of children in schools. ISI is not an arm of the government, but an independent, not-for-profit inspectorate. Its work is monitored on behalf of the Department for Education (DfE) and a public report is made annually to the Secretary of State. ISI regularly contributes to the development of the national policy for education and welfare, including the latest DfE legislation and statutory guidance. To find out more click here for ISI. Safeguarding is at the heart of all ISI inspections. This involves checking whether schools are compliant with the minimum standards required, not only in terms of policies and procedures but, importantly, in what they do. Liaison with the local authority safeguarding leads and the DfE about safeguarding issues is a key part of our work. Inspectors not only check documentation but also interview staff and pupils to satisfy themselves as to the school’s safeguarding culture. ISI inspections pay particular attention to hearing pupils’ voices. All pupils are invited to complete a confidential questionnaire in advance of the inspection and inspectors prioritise formal and informal meetings with pupils to ensure that any issues raised can be followed up during the visit. For the same reason all parents are invited to complete a confidential pre-inspection questionnaire.